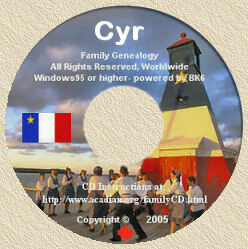 Acadian Genealogy Homepage; Acadian Surnames (Labadie to Murray)! Note: I've only included those surnames which appear a minimum of 23 times on the CD. Note: I've only listed those surnames which appear a minimum of 24 times on the CD.